One of the most popular products at StoreMoreStore is our sliding mobile shelving systems. These systems are great because they are an affordable solution for increasing your storage capacity without using a ton of floor space. 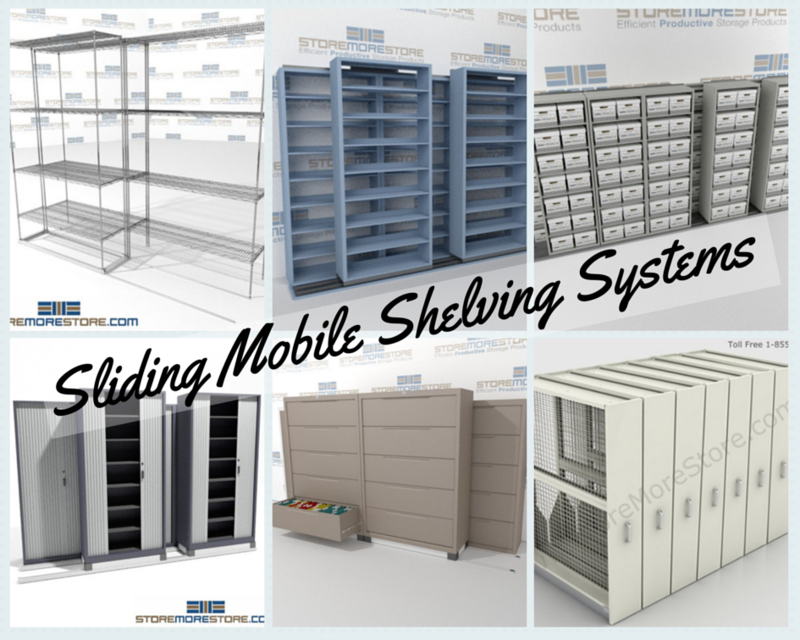 Another great thing about the sliding mobile shelving systems is how many different kinds we have available. With so many different options, you’re guaranteed to find the right storage system for your business. The most popular type of sliding mobile shelving on the store is the letter size. It’s ideal for storing files and works great in healthcare settings, human resources departments, and accounting departments. 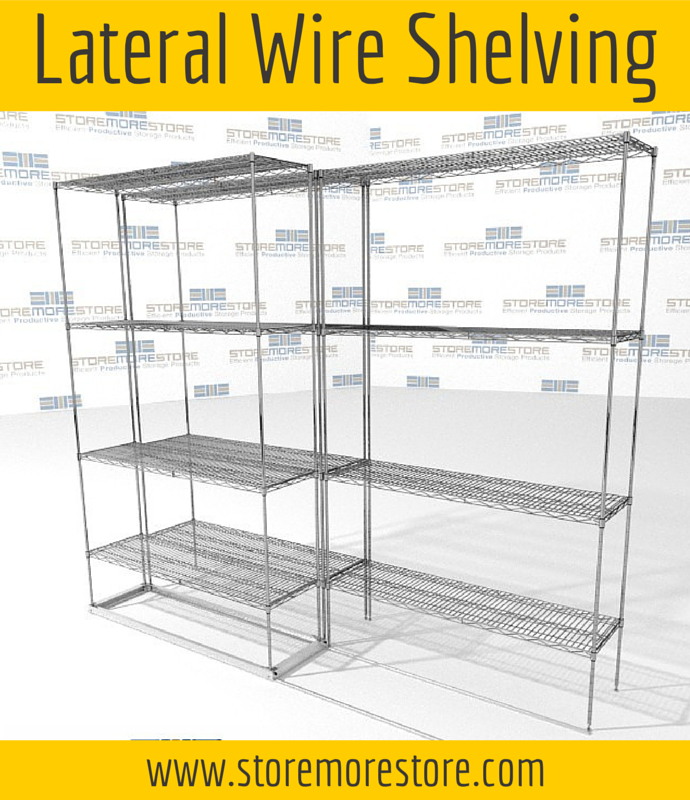 The newest addition to our sliding mobile shelving family is the lateral wire shelving. It’s completely different from any other type of wire shelving on the market today and works very well for storing medical supplies, food, linens, and electronics. 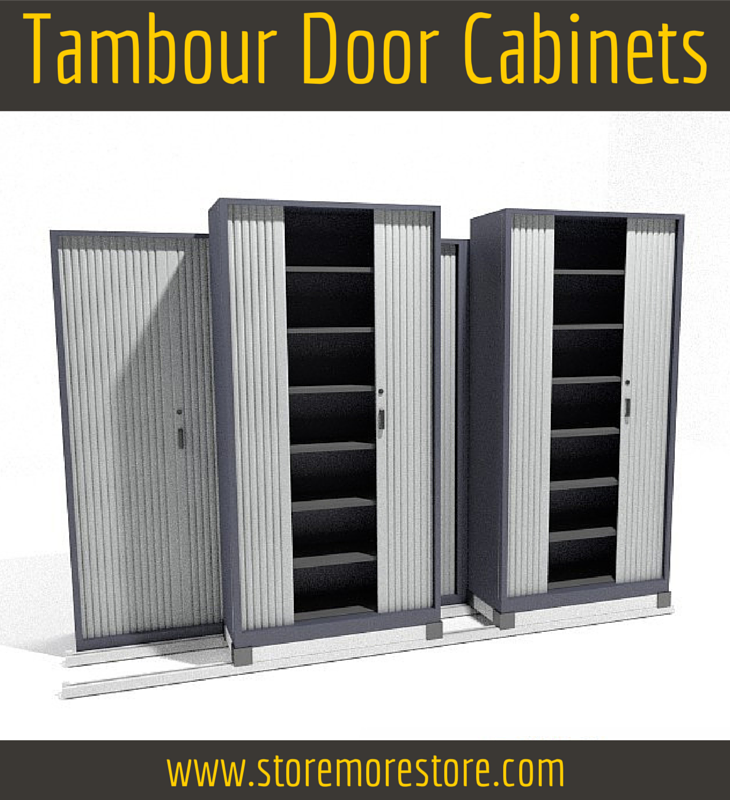 One of the most innovative sliding mobile shelving systems is the tambour door cabinets. Typically, you’ll have to add either hinged doors or large rolling doors to secure items, but these cabinets have mini doors built right in. This one is a bit different from the other systems for two reasons 1) it’s meant for storing framed artwork and 2) technically the shelving slide out instead of back and forth. But the sliding art panel system still gets included because the shelving slides (and it’s an excellent solution for storing art collections). The lateral sliding file cabinets aren’t shelving exactly, but they are just like many of the other storage systems on the list. Instead of shelves, you have lateral cabinets. These are the best option when you don’t want to change how you file (i.e. from top tab to side tab). Just like the letter size option above, box sliding mobile shelving is designed specifically for boxes. Anything you have in a box will be easy to store on the shelves. And these work well for both office and industrial applications. As you can see, there are numerous different kinds of sliding mobile storage systems. And you can find them all online at StoreMoreStore. If you have any questions or need any assistance, please give us a call at 1-855-786-7667.